Aroma and essential oils have an incredibly transformative effect on our mind, emotion and our body. In this blog, we are focusing on the top 10 essential oils useful for any detox. We love creating synergetic blends which smell divine and has an actual effect on the body (and skin). Our Yogandha Detox Oil includes some of the oils below and was envisioned as part of your daily detox ritual and to boost lymphatic drainage. Want to explore more about our Yogandha Oils and receive wellness support please have a look for the benefits in joining the Yogandha Year here. Lemongrass is often used in cooking and as a tea acting as a carminative on the digestion and has a fresh clean aroma. As an essential oil, it has the same properties. It stimulates the kidneys and is thought to help lower cholesterol. As an additional benefit, it is invigorating which is perfect during a detox. It clears the head and energises the mind - yet it feels balancing. You can smell its refreshing aroma in Yogandha Detox Oil. Juniper berry is a wonderful purifier. Even on an energetic level its used to clear any negative energy or if you are feeling “unclean”. It’s one of the oils in Yogandha Detox Oil and is used to treat cellulite. That’s not the only effect it has on the skin. It is also used for congested or oily skin. This is one of our favourite digestive remedies. It is used to relieve nausea, wind, indigestion and colic. Anything that supports our digestion will be helpful during a detox. 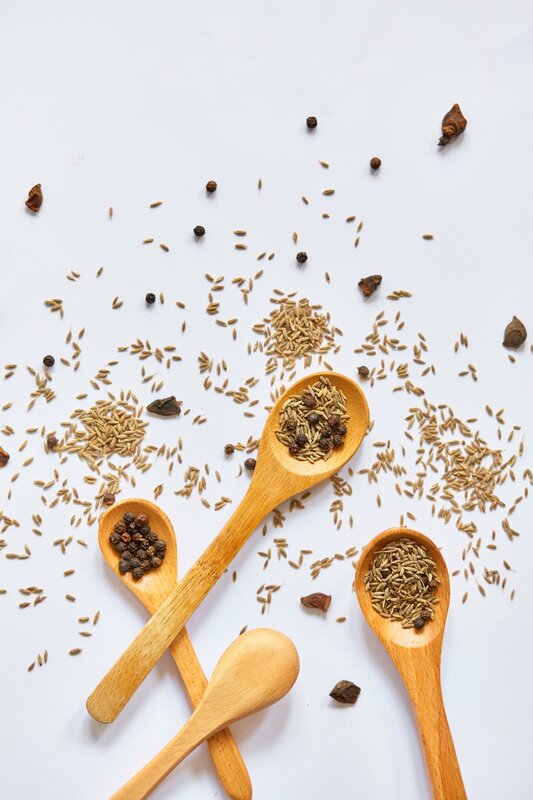 Fennel also has an affinity with the spleen and therefore our immune system. It is said to be a diuretic and detoxifier and is often used to treat cellulite. With all these wonderful properties we had to include it in Yogandha Detox Oil. The grapefruit diet has never gone out of fashion. As an essential oil, it has a refreshing and joyful aroma. It is a diuretic meaning its helpful for fluid retention. It is thought to have detoxing properties as well as stimulating the digestive juices for a more efficient digestion and elimination. This is another tonic for the stomach and digestive system. In aromatherapy, it is used in digestive complaints whether its constipation or diarrhoea. It's another wonderfully refreshing oil used to stimulate the lymphatic system and therefore our immune system. Peppermint tea made from fresh or dried leaves is the perfect digestive remedy. The tea and the essential oil (applied externally) are used for stomach complaints, wind, nausea and indigestion. It is also antispasmodic and perfect in during a detox. There are many benefits attributed to this humble fruit. 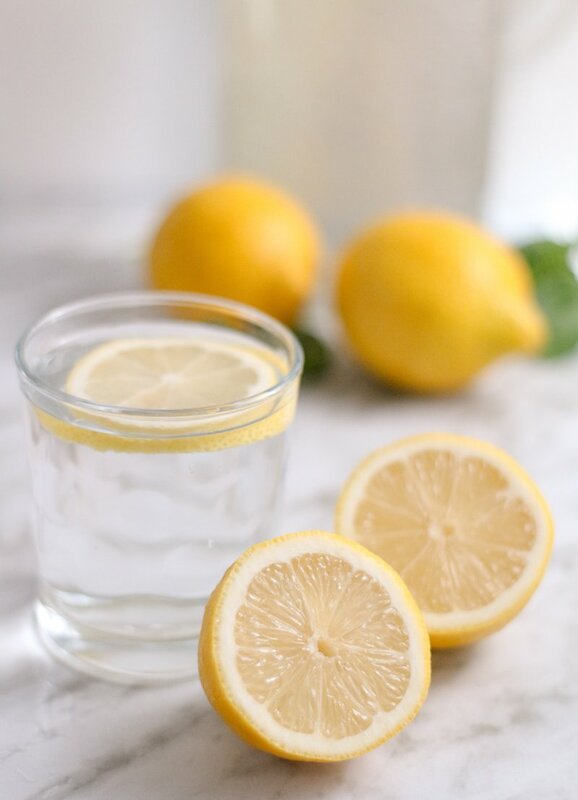 Drinking fresh lemon juice or squeeze fresh lemon to warm water is recommended in several detox plans. The essential oil used externally is antibacterial and helps our immune system. It is also thought to help our digestive system by creating an alkaline environment. Other benefits include that it is used for cleaning greasy skin and is used in cases of obesity and cellulite. Rosemary is a much loved culinary herb. Hippocrates has apparently said the herb “should be cooked with vegetables to overcome liver and spleen disorders”. The essential oil is still used by aromatherapists as a tonic for the liver and gall bladder. It is also wonderfully stimulating to the blood circulation. German Chamomile, which is blue in colour, has superior anti-inflammatory properties. It is said to stimulate and support the liver and gall bladder which is perfect in a detox. The Roman Chamomile has a much softer aroma. It is still anti-inflammatory and is extremely soothing for body and mind. Both are useful to aid the digestive system. Lavender is the number one essential oil. It is useful for numerous complaints. We like it as a detox oil due to its effect in destroying certain forms of bacteria. Yet it is balancing and calming which is so important in any detox. Following the cycles and seasons of the year you might be interested in our Yogandha Year. This has been the culmination of a lot of meditation and oil smearing... 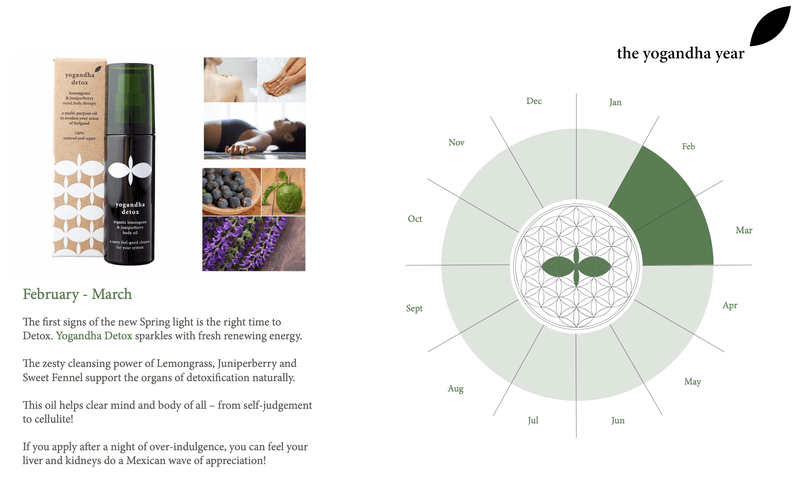 Fancy the oils falling into perfect alignment with the earth's own wellbeing calendar? Oils being brought to your door step at the perfect seasonal time with extra wellness support? Please check out the Yogandha Year and join us in this magical journey of deep wellness! Please be aware that Yogandha is intended for wellbeing, not a medical treatment of any kind and results may vary. Always consult a doctor or Ayurvedic practitioner if you have a health issue. Before using any essential oils please check any contraindications or speak with a qualified aromatherapist.